Real Japanese Quality car seat suitable for newborn for up to 4 years old (2.5 kg -18kg). All of Ailebebe products are fully made in Japan. With directly ownership of factory, Ailebebe takes a great pride in ensuring a high quality and exacting standard from start to finishThe car seat is equipped with 360 degree rotation capability with a touch of a button. By rotating the car seat, mothers will be able to place the baby into the car seat conveniently. The seat pad is designed to mimic the natural position of a mother’s hand embracing a baby. The neck and hip support ensures that the baby’s back is straight. BABY CATCH technology can reduce the impact and load when crashing or heavy braking. The car seat also comes with two layers of inner cushions. The “soft” layers bring comfort to baby while the second “hard” layer gives impact protection. To secure the car seat in your car, the 5 points Adjustable Harness seatbelt can be easily adjusted for baby’s most comfortable setting.Given the hot climate in tropical countries, the seat pad of the car seat is made of high quality mesh material for breathability. 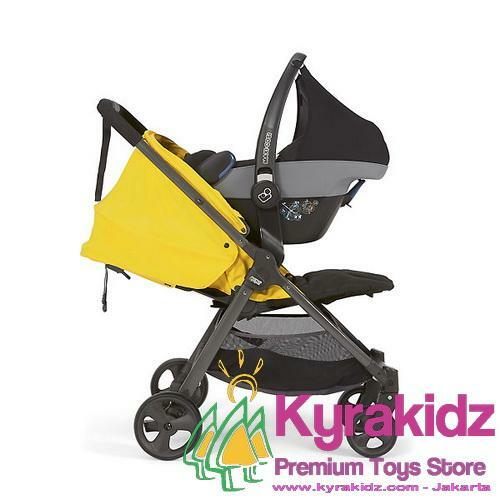 The car seat also comes with extra large, easily removable and washable UV50+ sun canopy. Made of high quality mesh material gentle for babies’ skin and has cooling effect. Extra Large UV 50+ Canopy to protect baby from glaring sunlight. Padded head rest to give better head support and comfort along the journey. Easy change of position with one hand. Easy installation in 60 seconds.